Minimum premiums start as low as $300 for brand-new tanks. Don’t think of only gas stations as potential buyers of storage tank pollution liability. 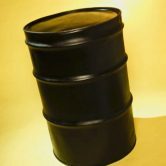 Any business with a storage tank is a potential opportunity. In addition, private insurance is a great mechanism to demonstrate Financial Responsibility for tank owners. The least expensive environmental insurance available today insures Underground Storage Tanks (USTs). Insurance for USTs has been continuously available for over 25 years and is a mature environmental insurance product line. The cost to insure a single 10,000-gallon tank ranges from $500 to over $10,000 annually and is mostly dependent upon the age of the tank and the insurance carrier was chosen. American Risk Management Resources Network, LLC Provides Environmental Insurance for AST/UST Risks. Offering tank pollution liability insurance to tank owners and operators with policies offering FR in every state! For the past 30 years, the owners or operators of UST’s have had to provide Proof of Financial Responsibility (FR) for environmental damages in case they leak. The policy forms sold to tank owners and operators to comply with the environmental protection laws in the various states vary somewhat in the insurance coverage provided, no two policies read alike. With so many potential variations on UST insurance, ARMR has a team specializing in the UST insurance product line.